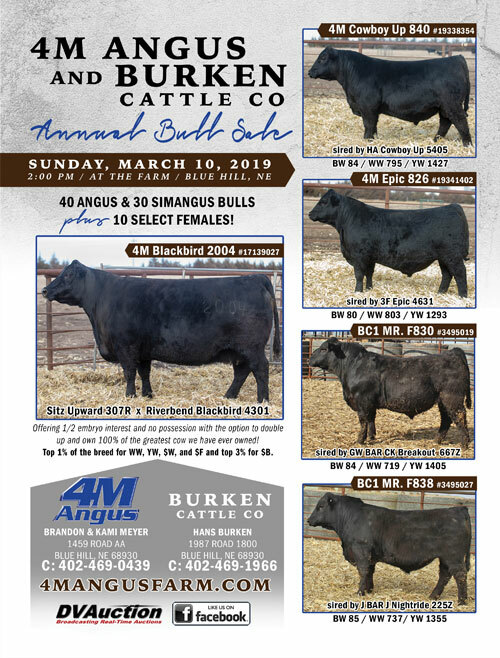 4M Angus is proud to offer cattle for sale through the annual bull sale, which has been held for more than seven years. Our females are available for sale by private treaty throughout the year. Embryos and pregnancies are also available through private treaty throughout the year. 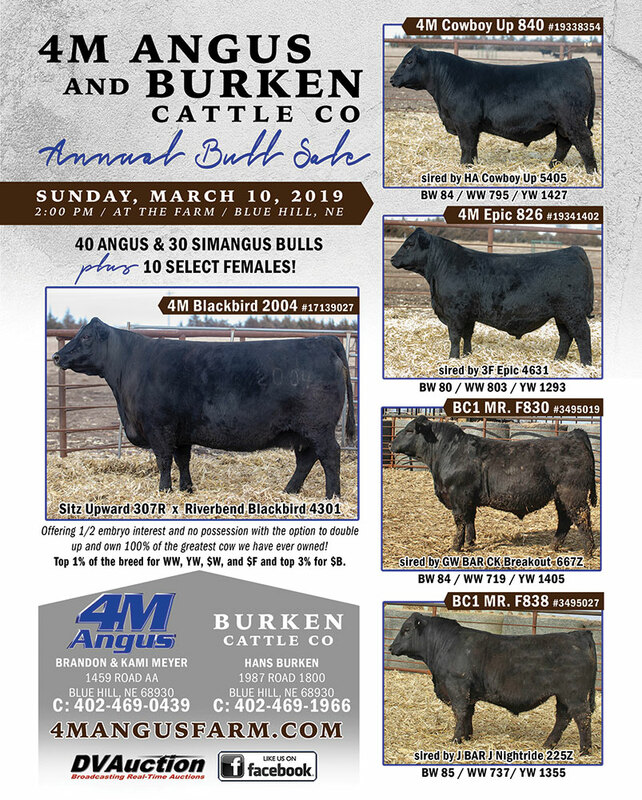 The female sale features balanced females from the most dominant cow families in the Angus breed. 4M females need to have all the qualities necessary to produce a profitable calf. With the ever-rising cost of grains and energy, growth and performance qualities are more important now than ever before. 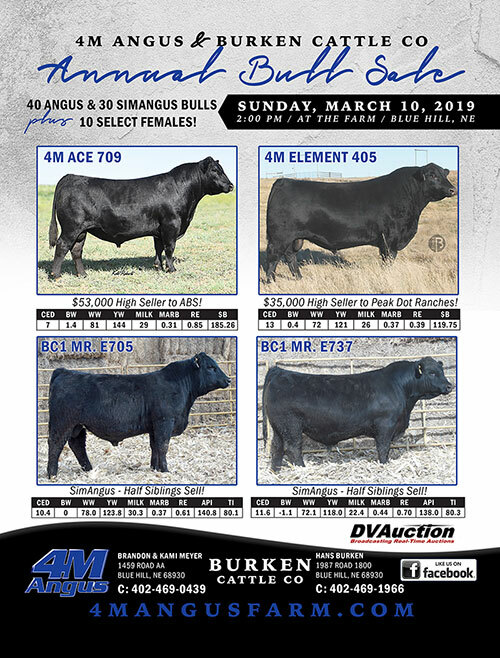 The 4M bull sale offers high performance bulls, known for being low birth weight, high growth bulls, with great dispositions. A bull from 4M Angus will add profitability to any herd.